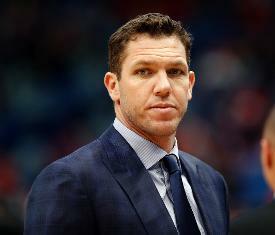 Walton compiled a 98-148 record in three seasons as the Lakers' head coach. Los Angeles missed the playoffs in all three campaigns. Joerger led the Kings to a 39-43 record this season, good for ninth place in the NBA's Western Conference. It was their best record since 2005-06 -- the last time they qualified for the playoffs.